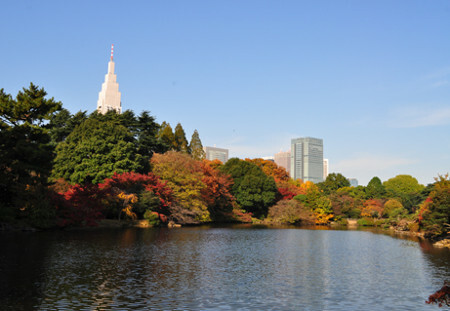 Shinjuku Gyoen was constructed on the site of a private mansion belonging to Lord Naito, a “daimyo”(feudal lord) of the Edo era. Completed in 1906 as an imperial garden, it was re-designated as a national garden after the Second World War and opened to the public. With 58.3 hectares in size and a circumference of 3.5 kilometers, Shinjuku Gyoen, the representative modern western-style garden in Meiji era, blends three distinct styles, French Formal Garden, English Landscape Garden and Japanese Traditional Garden, and is considered to be one of the most important gardens from the Meiji era. 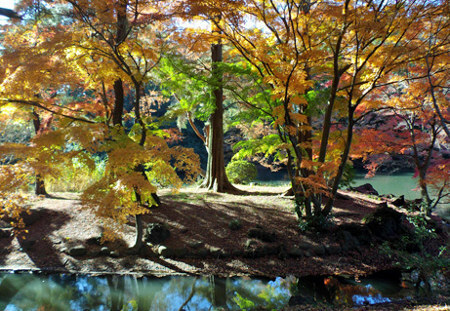 In the autumn, you can see various autumn leaves everywhere in the large garden. The beautiful scenery which the vivid Japanese maple (Momiji) reflects on the surface of the pond is particularly popular. 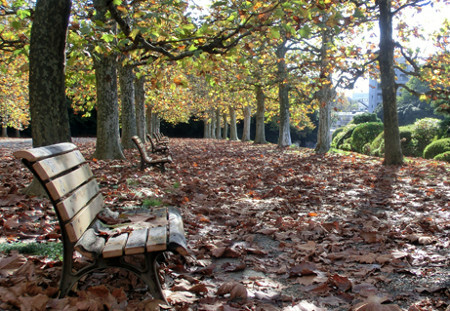 You can also enjoy autumn foliage that makes you feel the European atmosphere of the Plantanous trees in the French Formal Garden. 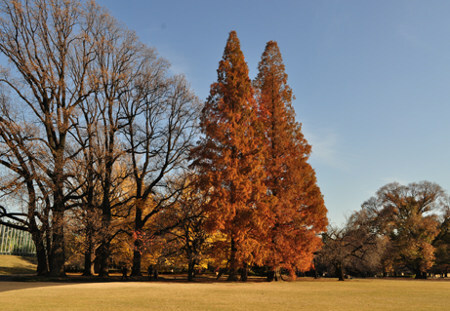 In the English Landscape Garden the leaves of tulip tree and metasequoia turn into the color of autumn. 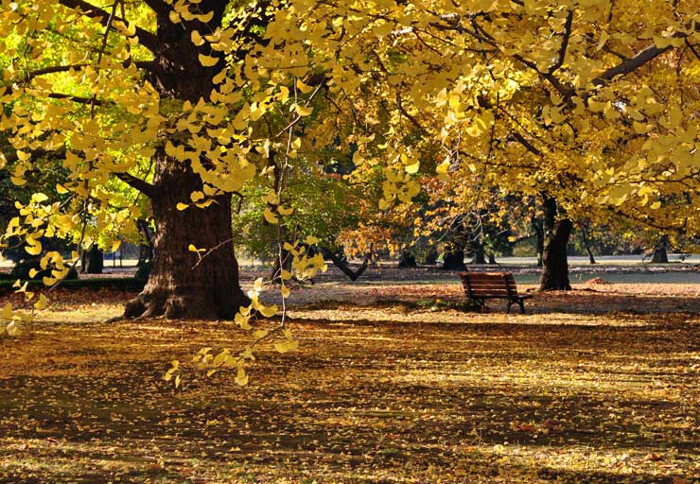 Besides that, there are many autumn leaves to see such as ginkgo and bald cypress (Rakuusho), and it is a garden that is perfect for taking a walk thoroughly. You can see the garden map. Detective Conan "Kaito Kid Cafe"